O.S.S. 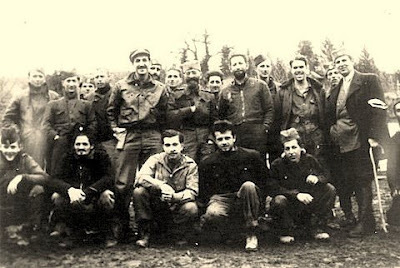 Radioman for Halyard, Arthur "Jibby" Jibilian (front row, light colored jacket), with American airmen and Captain Nick Lalich and General Draza Mihailovich standing with his hand over his heart, directly behind Jibilian. 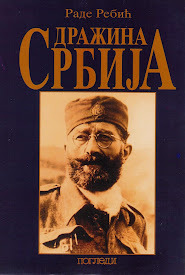 Serbia, 1944. OSHKOSH, Wis. -- Art Jibilian hoped his presence here at the largest private air show in the world would, in a small way, help right a terrible wrong that had been done so long ago. "This means so much, not for me but for General Mihailovich," Mr. Jibilian said yesterday, referring to the guerilla leader whose involvement in the rescue was largely suppressed until recent years. Mr. McMahon said he was fascinated to learn about the former Toledo man's prominent role in Operation Halyard after picking up a copy of "The Forgotten 500," a 2007 book by Gregory A. Freeman about the mission. "This story would make a heck of a movie," Mr. McMahon said. Between Aug. 9 and Dec. 27, 1944, rescuers spirited 512 airmen, most of them Americans, out of the former Yugoslavia under the noses of the Nazis. To accomplish the daring mission, members of the Office of Strategic Services -- the forerunner to the CIA -- had to fight not just the Germans, but the British, who tried to sabotage their efforts. Many of the Americans fliers had been shot down while striking at oilfields in Ploesti, Romania, the principal source of oil for the Nazi war machine. So he turned to Mr. Musulin, a giant of a man who played tackle for Pitt's Rose Bowl team in 1936 and later played for the Pittsburgh Steelers before joining the OSS from the Office of Naval Intelligence. After the war, the native of Franklin, Cambria County, joined the CIA, from which he retired in 1974. He died in 1987. 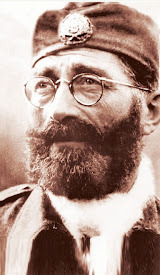 The biggest hero of Operation Halyard, however, was Gen. Draza Mihailovich, the leader of Chetnik guerrillas in Yugoslavia. It was mostly Gen. Mihailovich's men who assisted American fliers who parachuted from crippled airplanes, and fed and hid them from the Nazis at great risk to themselves. 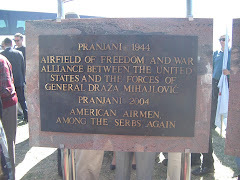 They also helped the fliers and OSS men construct a makeshift runway near Gen. Mihailovich's headquarters in Pranjane from which they were airlifted to Italy. But it was Allied policy to deny Gen. Mihailovich and his Chetniks support, or even credit for their contributions to the Allied cause. That's why the British tried to stymie the mission, and why -- after it succeeded -- the British and the U.S. State Department insisted it be hushed up. 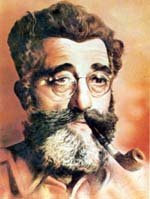 As an intelligence officer for the Yugoslav section of the SOE, Mr. Klugmann was in a position to invent triumphs for the Communist Partisans, to attribute to the Partisans victories over the Nazis that were actually won by Gen. Mihailovich's Chetniks, and to fabricate "evidence" of Chetnik collaboration with the Nazis. 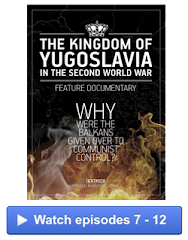 "Every time a message came in from Musulin about some success Draza Mihailovich had, (Klugmann) assigned it to the Communists," Mr. Vujnovich, now 93 and living in New York, told the Pittsburgh Post-Gazette. "The next day it would be on the BBC." That was why Mr. Jibilian's arrival was so important to the success of Operation Halyard. 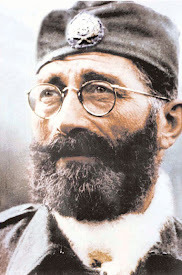 Also opposing the Nazis were Communist Partisans under Josip Broz -- a Croat better known by his nom de guerre, Tito -- although they didn't join the fight until after Germany invaded the Soviet Union in June 1941. "Jibby" had been drafted into the Navy in March, 1943. He was at the Great Lakes Naval Station near Chicago learning to be a radio operator, when an OSS recruiter came to visit. 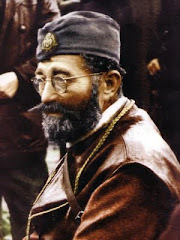 George Vujnovich learned from his Serbian-born wife, Mirjana, who'd escaped from Yugoslavia earlier in the war, that many more downed airmen were hiding in Yugoslavia. Gen. Mihailovich had been sending radio messages about the airmen for months, but the British ignored them. "She wrote me a letter with the names of the airmen and asked me what we could do about it," Mr. Vujnovich told the Post-Gazette. Because America wasn't yet in the war, Mr. Vujnovich could leave the country. Despite their hasty marriage, it was dicier for his wife. 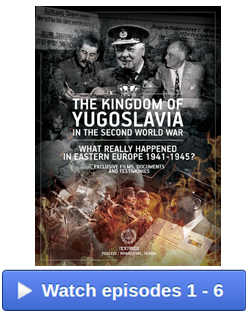 The Gestapo was looking for Yugoslavs with connections to the Americans or the British, and she was on their list. When he proposed the rescue mission, the British and U.S. State Department opposed it. But Gen. Nathan Twining, commander of the 15th Air Force, wanted to get "his boys" back, and OSS chief Bill Donovan lent crucial support. Still, President Roosevelt agreed to a demand from Prime Minister Winston Churchill that Mr. Vujnovich not be permitted to lead the expedition. Though few in the OSS knew Yugoslavia better, George Vujnovich was too fond of Gen. Mihailovich, too suspicious of Tito for British tastes. "I was [angry]," Mr. Vujnovich said. "But I couldn't do anything as a soldier, because I was under orders." They almost didn't make it. The team relied on British air support, but four attempts to drop them were aborted. The British pilots, apparently deliberately, twice flew to the wrong coordinates. On the fifth attempt, the British tried to drop the team into an ongoing battle. "They were hoping we would just drop into the battle and just disappear," Mr. Jibilian recalled. "They obviously didn't want us to go in there." "This was an extraordinary feat of airmanship," said Jeff Underwood, the historian for the National Museum of the Air Force at Wright Patterson Air Force Base in Dayton. Mr. Jibilian remained behind. The rescue scenario was repeated several times until the last of the airmen under Gen. Mihailovich's protection --512 in all -- were evacuated on Dec. 27. "We asked Mihailovich to come out with us," Mr. Jibilian said. "In fact, we begged him. He said no. 'I'm a soldier, this is my country,' he said." The airmen he'd rescued and members of the OSS vigorously protested the arrest, demanding the right to testify at his trial. But Tito refused, and the State Department offered no help. "Having spent two months with the forces of Marshal Tito, and six months with Mihailovich, the contrast was amazing," he said. 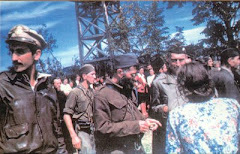 "The Partisans shadowed us, never leaving us alone with the villagers. They were always tense, and the villagers seemed ill at ease in their presence. "On a few occasions we were able to shake our guard and talk to the people," he said. "One question they always asked us is 'Why are the Americans backing the Partisans?' "
"It was night and day between the two," Mr. Jibilian said. "When we were in Mihailovich territory, we were free to go wherever we wanted, talk to anyone we wanted. It was clear the villagers loved Mihailovich." In 2005, a delegation including Mr. Jibilian and Mr. Vujnovich went to Belgrade to present the Legion of Merit to Gen. Mihailovich's daughter, Gordana. "Embassy personnel told us they couldn't do anything because the State Department wouldn't allow them," Mr. Vujnovich said. 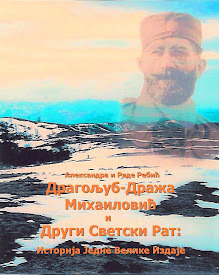 But the historical record was corrected two years ago with the publication of Mr. Freeman's book. 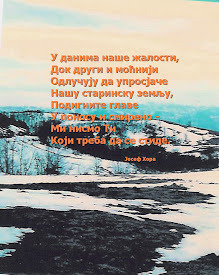 "I first became aware of this during the conflict in Bosnia," Mr. Freeman told the Post-Gazette. "The story was amazing, and so was the fact that it had hardly been told, But I didn't want to tell it in the context of the violence that was going on then, so I put the project off for five years." Jack Kelly writes a nationally syndicated column, chiefly on national security issues, and covers fitness for the Post-Gazette's health section. He is a former Marine, Green Beret, and Deputy Assistant Secretary of the Air Force.